Classically styled and ideal for traditional bathroom design this toothbrush holder is a luxury finishing touch in high quality bathrooms. Each toothbrush holder is made of chrome plated brass with the cup made in tough frosted glass. Available as wall mounted or deck mounted soap dish. * Chrome on brass holder. 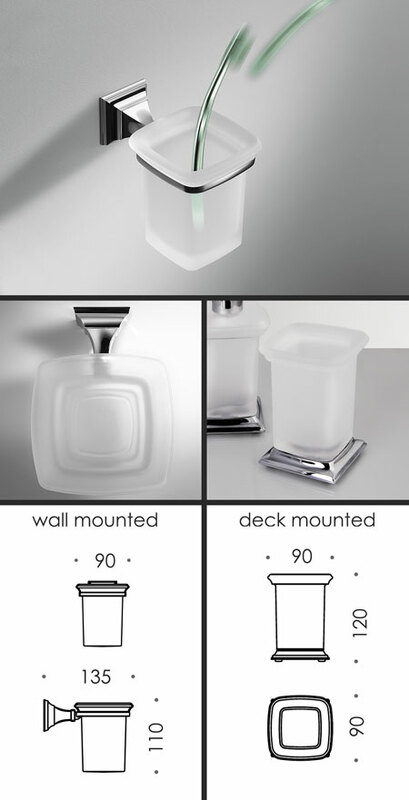 * Deck or wall mounting.